Visit us today, our team of highly qualified dentists are happy to assist you with any inquires you have. we are here to help make your smile the healthier, most beautiful it can be. Experience world class dentistry, provided by a team of caring professionals who truly know you and your smile. If you have any questions, please contact our staff at 604-559-8001. General inquiries should be directed to info@canadawaydental.com. Inquiries related to dental appointments, referrals, or patient care should be directed to canadawaydental@hotmail.com. Questions about dental insurance? 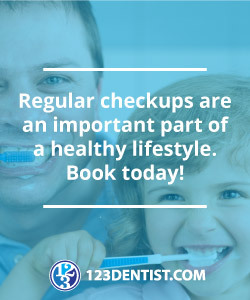 Learn how we treat you, not your dental plan. All patient details we have are kept securely to ensure that each and every patient is protected by discretion. What are your options with regards to payment at Canada Way Dental? We wish to make payments as simple & efficient as possible for you. Our management staff will be in the office once per week to answer all messages and will be happy to assist patients with appointments at our sister clinics in the area.